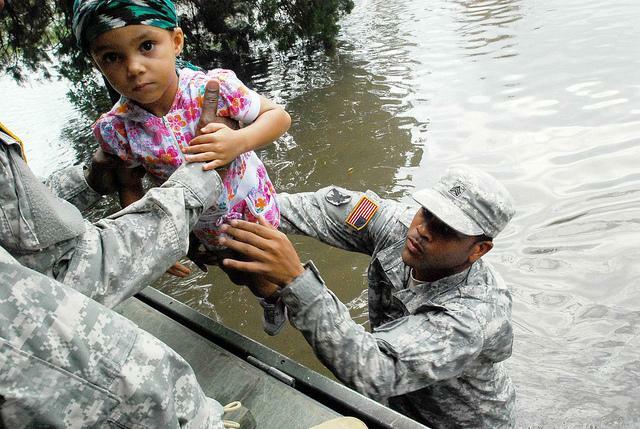 Natural disasters affect every area of America, and no home is immune to the threat of emergencies. These disasters can threaten your property, even your life. But there are simple steps you can take to protect your home and family in the event of an emergency whether or not you have a home warranty. We’ll share expert tips for preparing your home to survive tornadoes, hurricanes, earthquakes, wildfires, and floods. Being prepared for natural disasters and emergencies can protect your property — and it just might save your life. 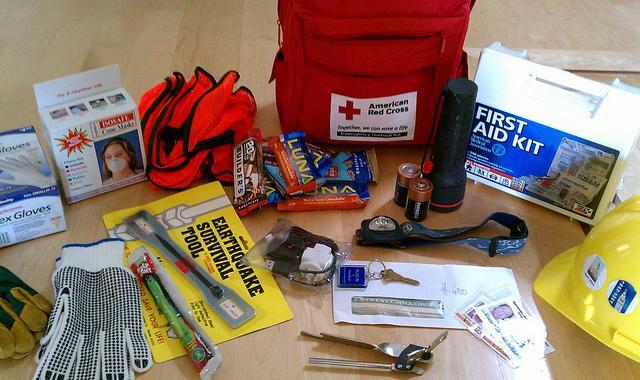 Be ready by following our guide to natural disaster preparedness. 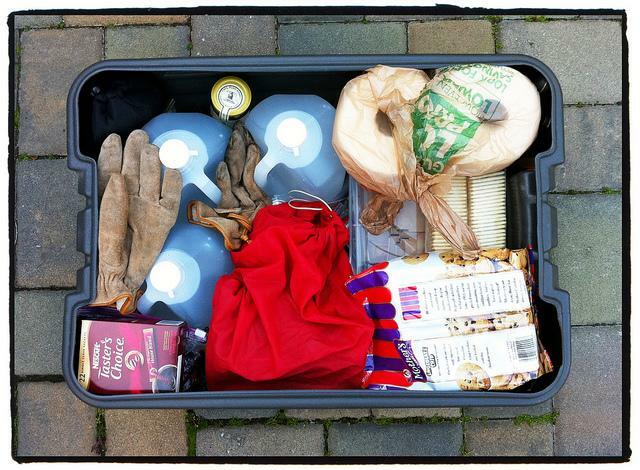 For any emergency, you’ll need the basics: a plan and an emergency kit. Be ready for natural disasters with these tips that apply for any emergency. Sign up for and become familiar with warning systems in your area so that you’ll be alerted to danger ahead of the threat. Choose a safe area ahead of time. For wind storms including tornadoes and hurricanes, you’ll need to identify an interior room on the lowest floor with no windows. During an earthquake, you’re safest under a strong table. Plan safe evacuation routes. Know how you’ll get out if you’re forced to evacuate. Make sure everyone in your home is familiar with the best evacuation route. Identify a safe place for your family to meet, and designate an out of town contact you can check in with. Practice emergency drills with your family. Every member of your family should know what to do during an emergency. Learn how to turn off your gas, water, and electricity utilities if necessary. After an emergency or natural disaster, help will be on the way. Still, you may not receive assistance for up to three days. That means your family should be prepared with the supplies necessary to survive independently for at least three days following an emergency. Remember that you may be unable to shop for food or supplies after disaster strikes, and your home may no longer have water, gas, or power. Be prepared at home with these emergency supplies. Tornadoes have the power to completely flatten homes, while hurling trees, objects, even cars through the air. This deadly force can strike at any time, and with little to no warning. Dangerous tornadoes can happen anywhere. 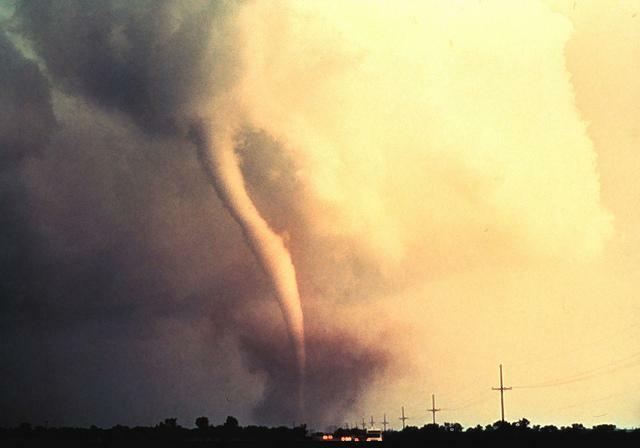 Although the worst tornadoes are most often seen in the Plains States like Kansas, top tornado states include ones you might not expect, including Florida, Maryland, and Illinois. The American Red Cross reports that tornadoes have been reported in every state. No matter where you are, it’s important that you’re prepared for a tornado. An estimated 1,000 tornadoes happen in the U.S. every year, and they cause an average of $1.1 billion in property damage and 80 deaths. Preparing with tornado home safety can help you save money on repairs and be safer in your home, avoiding disaster, injury, or death. You should be prepared for a tornado at any time, as the storms can form year round. But as we learn more about tornadoes, storm prediction becomes more sophisticated, allowing families to use warning resources and storm likelihood for planning. View your tornado risk by month and location. This tornado risk tool from tornado experts at The Weather Channel can help you assess your tornado risk. You can also check FEMA maps for tornado activity and wind zones. Mobile homes are not an adequate tornado shelter, as they accounted for 44% of all tornado fatalities between 1985 and 2005. Some mobile home parks have designated underground tornado shelter areas. Knowing the first signs of a tornado and practicing how you’ll get to a safe place might save your life. Find out how to safely shelter at home. Choose a safe room in your home. A safe room is an interior room on the lowest floor with no windows. Ideally, you’ll use a basement or storm cellar as your safe room. If you are in a moderate to high risk tornado area, consider reinforcing your safe room to FEMA specifications. Practice tornado drills with your family, gathering everyone, including pets, in your safe room. Be sure that all members of your family know the procedures for tornado safety. Remember, not all family members may be home when disaster strikes. Become familiar with your community’s tornado warning system, whether it’s a siren, broadcast, or other method. Everyone in your family should be familiar with tornado warning signals. You can also sign up for mobile alerts from The Weather Channel. Know the difference between a tornado watch and a tornado warning. A tornado watch is issued if tornadoes are possible in the area. During a tornado watch, you should review plans, check supplies, and be ready to move quickly to your safe room. A tornado warning is issued when a tornado has been sighted or identified on radar, and indicates imminent danger. During a tornado warning, you should immediately take shelter in your safe room. Remember to listen to your local news or NOAA weather radio during any storm to find out about tornado watches and warnings. Know the signs of a tornado: unusual clouds, including dark, greenish clouds, a wall cloud, cloud of debris, or a funnel cloud, as well as large hail and roaring noise like a train or jet engine. Learn first aid and CPR. 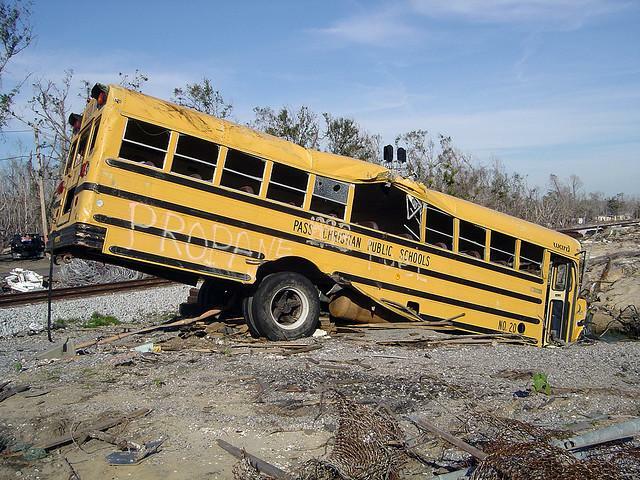 With proper training, you’ll be ready to provide first aid for injuries after a tornado. Know where your community shelter is, and identify the route you would take to get there if necessary. Designate an emergency meeting spot where your family can gather if separated. Choose an out of town contact that everyone in your family can check in with to let others know they’re safe. Take photos of your valuables and store them in a fire and waterproof safe along with important documents. Know how to shut off utilities, including gas, electricity, and water, in case of an emergency. Have tools ready to turn them off. Keep your mobile phone, or a designated emergency phone, charged and ready at all times. The most important part of tornado home safety is identifying a secure room where your family will gather in case of a storm. But there are more steps you can take ahead of a storm to minimize your risk of damage, injury, and death. Consider investing in a safe room. FEMA-approved residential safe rooms provide better protection than a basement or interior room. In an existing home, building a safe room typically means modifying the walls or foundation to be more secure. Some communities offer incentives, including reduce property taxes and grants, to encourage homeowners to build safe rooms. Ask a professional to reinforce masonry walls, secure your chimney, and possibly add anchors, clips, and straps for more strength. Update doors to withstand winds. Entry doors should be anchored securely to wall framing and have at least three hinges and a deadbolt security lock at least one inch long. Sliding glass doors should be replaced with impact-resistant door systems. Garage doors may need to be braced with supports or replaced with a stronger system. When replacing your roof, work with a contractor to ensure that your new roof and sheathing are prepared to resist high winds. The Weather Channel has an excellent guide to roof removal, replacement, connections, and anchoring that you can use with your roofing contractor. Trim your trees, as branches or even entire trees can become flying debris that may damage your home. Look for diseased or damaged limbs and trees for removal. Secure outdoor items that may become projectiles, including plants, lawn furniture, trash cans, and outbuildings. Replace gravel and rock landscaping materials with softer options, including shredded bark. 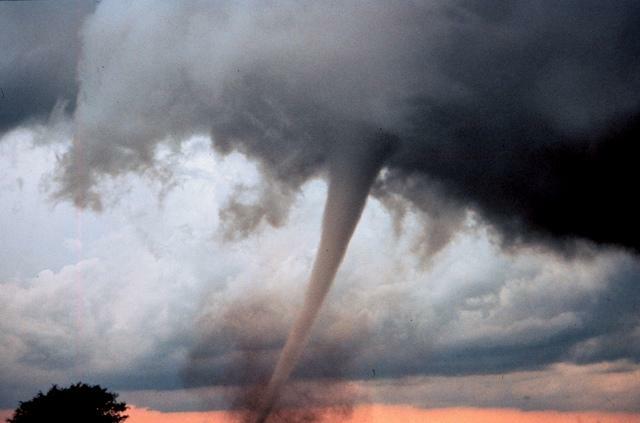 Tornadoes can cause devastating damage within seconds. Some touch down just for a brief moment, while others spread a path of destruction on the ground for an hour or longer. 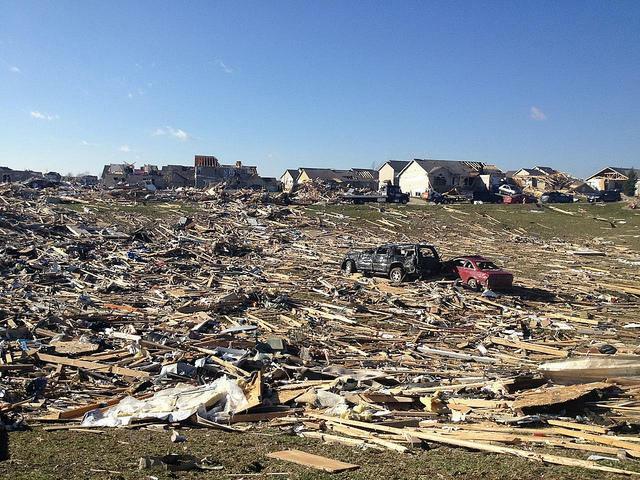 What your family does during a tornado could make the difference between life and death. Remember that you should always seek shelter during a tornado warning. If there is a tornado watch, listen to local news or NOAA weather radio, gather your emergency supplies, and begin to move potential flying debris from your yard. During a tornado warning, do not wait until you see the tornado to take action. As soon as you see or hear warning signs, prepare as if a tornado is imminent, heading straight to your tornado shelter without delay. Take shelter in the safest part of your home. A specially designed safe room, basement, storm cellar, or interior room on the lowest level with no windows are the best choices for shelter during a tornado. Do not take shelter in a mobile home. Do not open your windows. It is a myth that this will equalize the pressure in your home, and it may actually make potential damage worse, allowing wind and rain to enter your house. Don’t waste precious time opening windows, simply get to shelter. Stay inside until you are certain the storm is over. There may be multiple tornadoes in the same storm. Severe tornadoes can damage gas, water, and electrical lines, and distribute debris that is dangerous to walk on or touch. Hazardous chemicals may also be dispersed. After a tornado, you can protect your home and family by looking for damage and warning signs that something is wrong. Be certain that the storm has passed before you go outside. Keep your radio tuned to local news or NOAA weather radio for further instructions and warnings. Look, listen, and smell for broken utilities. Fallen power lines or broken gas lines should be reported to the utility company right away. If you smell gas or hear a blowing or hissing noise, you may have a gas leak. Open a window, evacuate your family, and call 911 or the gas company immediately. Use a flashlight to examine buildings rather than a candle, which can ignite undetected gas leaks. Avoid damaged buildings, and stay inside your home if it has not been damaged. Protect yourself from damaged buildings and debris by wearing long pants, a long sleeved shirt, and closed toe shoes when assessing damage. Watch for snakes and other animals that may have entered your home with flooding. Clean up hazards in the home, including flammable liquids, chemicals, and medications. Photograph damage, if any, for your insurance claims. Remember to photograph both your home’s structure and the contents of your home. Avoid using your phone unless it’s an emergency. This will keep the lines clear for emergency calls. Provide first aid to injured persons and call 911 if needed. Do not attempt to move seriously injured people unless you need to remove them from immediate danger. Let your family know you’re safe by checking in on the American Red Cross Safe and Well website. More than three million earthquakes both small and large happen each year. On average, that’s an earthquake every 11 seconds. Though most are too weak to notice or take place in uninhabited areas, earthquakes in populated areas can be dangerous and destructive, causing property damage and injuries, even death. It is impossible to predict when or where an earthquake will occur, so it’s best to be prepared ahead of time with adequate planning, supplies, and the knowledge you’ll need to protect your home and family. Taking small steps for earthquake home safety today can prevent injuries, death, and costly repairs later. Earthquakes are most common in states west of the Rocky Mountains, but nearly every part of the U.S. carries serious risk of an earthquake. In fact, 41 states or territories in the U.S. have a moderate to high risk of earthquakes. Understanding your level of risk can help you better prepare for an earthquake. Contact your local American Red Cross or emergency management office to learn about the risk of earthquakes in your area. Mobile homes, homes not attached to their foundations, homes built on steep hills, and homes resting on landfills or other unstable soils have an increased risk of damage. California residents can learn about earthquake and tsunami hazards on the California Emergency Management Agency’s My Hazards Awareness Map. Do you know how to react if an earthquake hits your home? Find out where you’re the most protected during an earthquake and how to shelter safely at home. Identify safe spots in every room. These are located under a strong table or against an inside wall. Earthquake Country Alliance has advice for the safest place to be, wherever you are. Hold earthquake drills, practicing drop, cover, and hold on: drop to your hands and knees, cover your head and neck, and hold on to your shelter until the shaking stops. Plan safe evacuation routes in case of fire. Agree on a safe place to meet following an earthquake. Designate an out of town contact who family members can call to check in with. Teach every member of the household how to knock three times repeatedly if trapped under debris. Know how to turn off utilities including gas, water, and electricity, and keep the necessary tools close at hand. 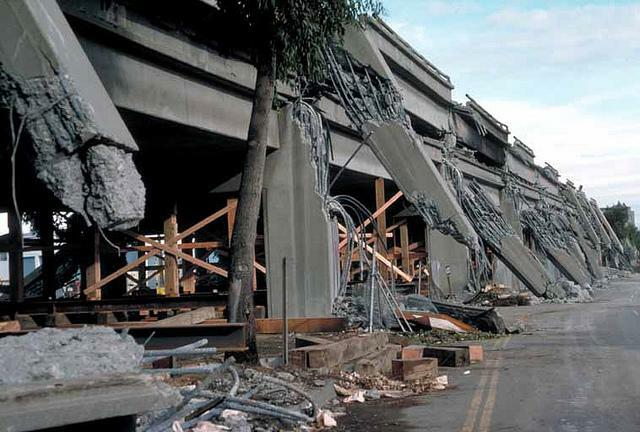 Seismic retrofitting and safety planning before an earthquake is significantly cheaper than major structural damage and repairs after an earthquake. Following an earthquake, you may also find it difficult to find available licensed contractors for repairs as demand for services increases. Prepare your home adequately now to save time, money, and live more safely. Fasten shelves and top heavy objects (including furniture, televisions, and computers) securely to walls. Hang mirrors, art, and photos on closed hooks. Avoid placing heavy items where they might fall on beds or seating areas. Place large, heavy, and breakable items on lower shelves with latched cabinets. Hazardous items, including pesticides and flammable products should also be stored securely on lower shelves in closed cabinets with latches. Note: The Earthquake Country Alliance has a comprehensive guide to securing items commonly found in the home. Repair leaky gas connections and defective electrical wiring. Install flexible fittings for gas and water lines, as they are more resistant to breakage. Secure gas appliances and other large items including your water heater and furnace with wall studs and floor bolts. Ask your gas company if they recommend an automatic gas shut off valve in case of strong vibrations. Ask a foundation expert if your home has signs of structural defects in the foundation. Repair deep cracks in your foundation and ceiling. Make sure your home is anchored to the foundation. Identify common building problems including unbraced cripple walls, rooms over garages, soft first stories, and unreinforced masonry. Earthquakes generally last only seconds, typically 10 to 30 seconds during a moderate to large quake. What you do during those few seconds could save your life, shielding you from falling debris and other hazards. Ideally, you should get to a safe place as quickly as possible, and stay there for the duration of the earthquake. Drop, cover, and hold on as you practiced during emergency earthquake drills with your family. Remember to drop to your hands and knees, cover your head and neck, and hold on to your shelter until the shaking stops. Move as little as possible. If you’re in a safe place, stay there. Avoid windows or the outdoors to avoid injury. Be aware that fire alarms or sprinkler systems may go off, even if there is no fire. The time after an earthquake is just as dangerous as the quake itself. Earthquakes can make your home unstable, start fires, floods, or gas leaks, and expose your family to hazardous breakables, chemicals, and even, further natural disasters. Find out how to protect your home and family in the hours and days following a serious earthquake. 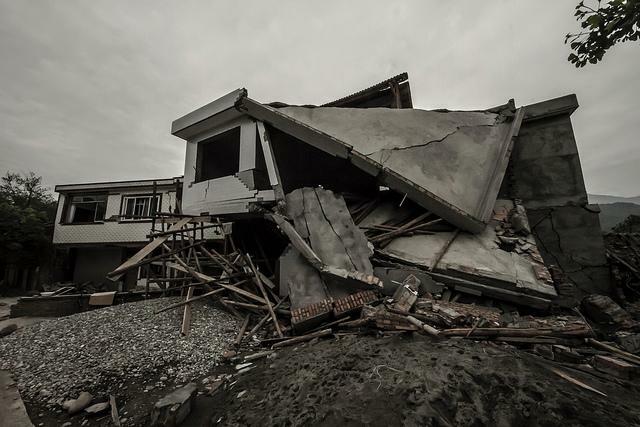 Be prepared for aftershocks, landslides, or tsunamis, which may be generated by earthquakes. If you are near a large body of water, prepare for a tsunami wave. Move inland and up to higher ground as soon as possible. Travel on foot, as traffic may be stopped, and roads and bridges may be damaged. Do not wait for official word, as waves can arrive quickly. If you’re not near a large body of water, remain in your home unless there is damage to the building. If you must evacuate, take your emergency bag. Avoid using elevators, and avoid bridges, ramps, and overpasses if possible. If you are trapped, use an emergency whistle or cell phone, or knock three times every few minutes until you are found. Prevent further injuries or damage by wearing long pants, a long sleeved shirt, work gloves, and closed toe shoes. Put out small fires. Check for gas leaks, damaged electrical wiring, broken lights and appliances, downed power lines, fallen items, hazardous spills, or damaged masonry. Help the injured with first aid. Check in with an out of town contact to let them know you’re safe, and then avoid using your phone to keep lines clear for emergencies. You can also check in on the American Red Cross Safe and Well website. Use your radio to listen for alerts. Hurricanes are a deadly force that threatens coastal areas every year from May to November. These storms can have winds in excess of 155 miles per hour, and can even spawn tornadoes, flooding, and storm surges. Low lying areas on the Atlantic coast have the highest threat of hurricanes, but hurricanes have caused damage even several miles inland. Every home that lays in the path of a potential hurricane should be ready to take on these deadly, destructive storms. Each hurricane that hits land in the United States causes about $1.8 billion in damage. Protect your home properly in advance of a hurricane to minimize your financial impact while also protecting your property and family. Hurricanes can cause major damage to your home, and even the most well prepared home may suffer serious structural damage in the face of a hurricane. Still, it’s best to be ready and give your home a fighting chance against hurricane damage. Protecting your home can save on costly repairs later, and if you’re sheltering at home, it just might save your life. Homes in hurricane prone areas should be ready for a storm to hit at any time during the hurricane season (May-November, depending on your location). There are, however, varying levels of risk that can influence how you should prepare for a hurricane. Be ready for a hurricane by knowing your risk well ahead of the storm. Find out your home’s elevation level. Are you in a flood prone area? 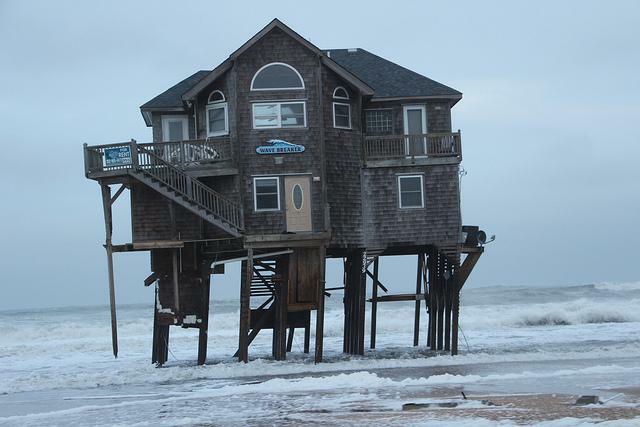 Homes in a flood area may suffer from a storm surge, which can be just as damaging as heavy hurricane winds. Identify water reservoirs in your area. Levees and dams may pose a hazard to your home. Assess your home’s structure for security. Mobile homes and tall buildings are not safe during a hurricane. Find out if you’re likely to be in a hurricane evacuation zone. Unlike tornadoes and earthquakes, hurricanes come with plenty of warning. You should have a few days’ notice to prepare your home and family for a hurricane, whether you’ll need to evacuate or shelter safely at home. 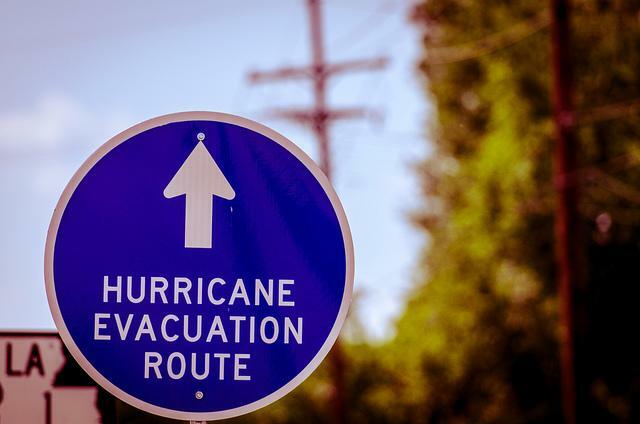 Know your area’s hurricane evacuation routes. If you’re required to evacuate, you’ll need to know how to get to higher ground further inland to avoid the threat. Identify an interior room on the lowest level of your house without windows. Identify your area’s community hurricane shelter and know the route you would take to get there in an emergency. Choose an emergency meeting place where your family can gather after the storm if you’re separated, and identify an out of town contact to check in with following the hurricane. Gather important documents, including insurance policies, prescriptions, and photos of your valuables in a waterproof safe. Learn how to shut off your utilities if necessary and be prepared with a tool. Know the difference between a hurricane watch and a hurricane warning. A hurricane warning indicates that there is a threat of hurricane conditions within 48 hours, and you should review your hurricane plans. In a hurricane warning, hurricane conditions are expected within 36 hours, and you should begin storm preparations. Practice hurricane drills with your family. Every member should know how to evacuate or prepare for a storm. Heavy winds, debris, and flooding can destroy homes during a hurricane. You can give your home a fighting chance against these forces with simple preparations including shutters, trimming, and reinforcement of your roof and garage door. Prepare to cover the windows of your home to protect against wind and flying debris. Permanent storm shutters are best, but ⅝” plywood is also effective. Measure and cut plywood to fit your windows well ahead of any storm so that you’ll be ready to install the wood quickly before a storm. Note: tape does not keep windows from breaking. Trim trees and shrubs around your home. Branches that are not trimmed may damage your roof, windows, and home in heavy winds. Trimming will also make your trees more wind resistant and may prevent further damage to your home. Consider installing roof straps or clips to secure your roof to the frame. Also clear rain gutters and downspouts. Consider reinforcing your garage door, as wind that enters a garage can cause extensive structural damage. Consider building a safe room and installing a generator. Consider supplementing your homeowner’s insurance with flood insurance. Clear your yard of any potential projectiles, including lawn furniture, potted plants, and toys. 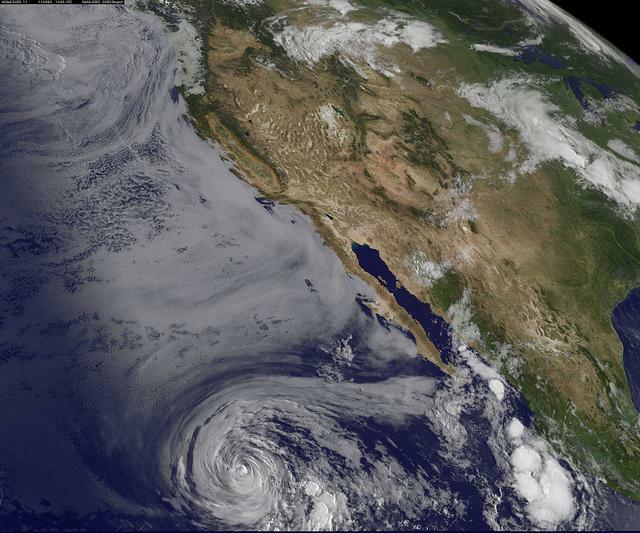 Hurricanes can last only a few hours, or for several days — some even longer than two weeks. Depending on how fast the storm is moving, it may affect your area for a few hours or a few days. Whether you’re instructed to evacuate or hunker down, here’s what you’ll need to do during a hurricane. Obey evacuation instructions. If local authorities direct you to leave, you must do so for your safety. Cover your windows with ⅝” marine plywood. Close all interior doors, and keep curtains and blinds closed. Stay indoors during the hurricane, avoiding windows and glass doors. Ideally, you should take cover in a small interior room without windows on the lowest level of your home. Do not go outside until you are certain the storm has passed. Remember that it may be calm as the eye of the hurricane passes, but more winds are coming. Listen to NOAA weather radio or your local news for updates. Even after a hurricane has passed, danger may still be present. Rainfall and flooding may continue, and roads may be washed out or flooded. Downed electrical wires and weakened walls can also be a hazard. After a hurricane, you should be on alert for any hazards that may remain following the storm. Continue listening to NOAA weather radio. Watch for more rainfall and flooding. 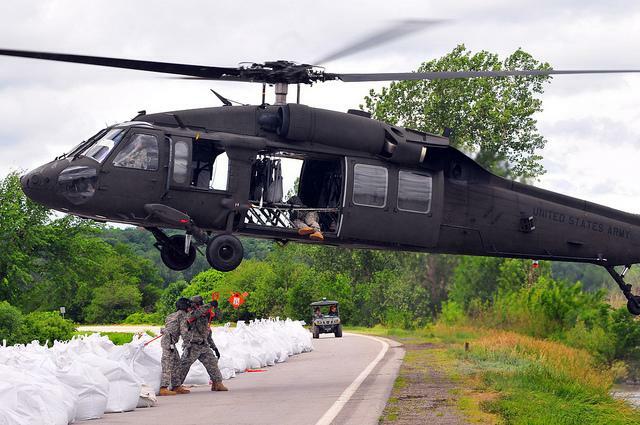 Return home after evacuation only if officials have instructed you to do so. Avoid driving unless necessary, as roads and bridges may be washed out. Be on the alert for loose or downed power lines. Inspect your home for damage, including gas leaks and structural damage. Take photographs for your insurance company. Avoid going into any building that still has floodwaters, was damaged by fire, or has a smell of gas. Use battery powered flashlights instead of candles. Do not use tap water unless authorities have confirmed that it is not contaminated. Wear long pants, a long sleeved shirt, closed toe shoes, and protective gloves when cleaning up and inspecting your home. If using a generator, do not use it indoors. Generators can build deadly levels of carbon monoxide and should only be used in outdoor spaces with adequate ventilation.Be certain that the storm has passed before you go outside. Avoid using your phone unless you’re making an emergency call. Check in with family on the American Red Cross Safe and Well website. We see shocking natural disasters including hurricanes, tornadoes, and earthquakes the most often on the news, but flooding is also one of the most damaging — and frequent — natural disasters. In fact, flash floods are the most deadly weather event, as they can tear out trees, roll boulders, and even destroy buildings and bridges. 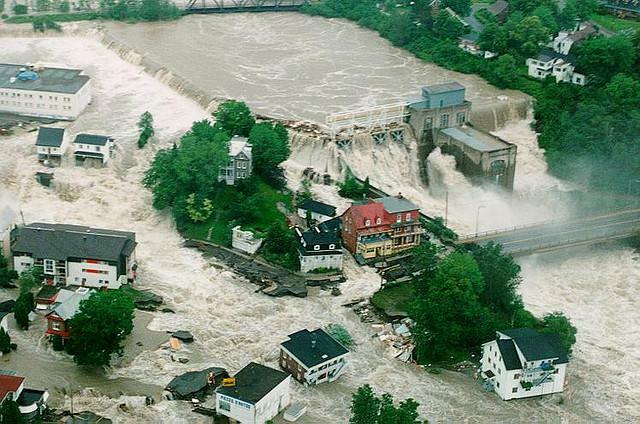 And while other natural disasters tend to threaten only specific regions, flooding can happen anywhere that it rains. Prepare your home for the threat of flood by taking precautions before you’re faced with rising waters. How would your family respond if a flood strikes? Even if you’re not in a flood prone area, you should be prepared for the threat of flood waters. Flooding can happen anywhere, as a result of tropical storms and hurricanes, spring thaws, heavy rains, seasonal flooding, even broken levees and dams. But there are certain areas that are more susceptible to flooding than others. Is your home in one of them? Study flood hazard maps to determine the flood risk where you live. Examine flood risk scenarios. Find out how flooding may affect you during a snow melt, flash flood, storm, or levee break. Flooding may come with the warning of a storm, or happen suddenly with flash flooding. Make sure you’re ready for any flood by preparing your family for this potentially deadly risk. Become familiar with your city’s emergency alert system so that you’ll be aware of flood warnings. Designate a location where your family can plan to meet in case you’re separated. Choose an out of town contact that every member of the family can check in with. Educate your family on staying safe during a flood. Explain that you should not play in ditches, ravines, or floodwaters, and that it’s best to walk away from flooded areas. You should also watch for snakes and rodents that may emerge during a flood. Whether you live in a floodplain or not, your home should be ready for a flood. Securing your home against a flood now can save you from expensive damage — and repairs — later. Invest in flood insurance. Most homeowner’s policies do not include this important coverage, but the financial impact of flooding can be great. Find out the cost of flooding with FloodSmart’s interactive flood damage cost tool. Elevate and reinforce your home if you live in a floodplain. Store important documents and other valuables in a watertight container on an upper floor. Consider elevating your furnace, water heater, and electric panel. Consider installing backflow prevention valves to keep floodwaters from backing up into your home’s drains. Consider constructing barriers with concrete walls and earth fill. Flooding can creep up over days or strike suddenly in a flash flood. During a flood, you should take care to protect your home and family from the rising threat of flood waters. Listen to NOAA weather radio for flood warnings and flood reports. Be prepared to evacuate immediately in case of flash flooding. If a flood warning is issued in your area, head to higher ground. Do not move into floodwaters. Even relatively shallow water (6″) can cause you to lose your footing if it’s moving swiftly. Do not drive on flooded roads. Cars can be swept away by less than two feet of moving water. Avoid swimming or playing in flood water, as it may be contaminated or contain hazardous chemicals, even dangers including snakes or debris. 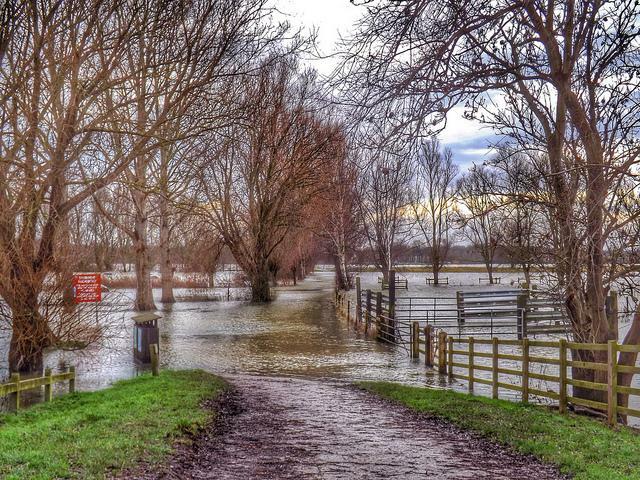 After the initial threat of flooding has passed, deep waters and threats may remain. Flood waters can contain hazards, and roads may be dangerous to drive on. Your home’s structure may also be compromised. Be on the alert for dangers following a flood. Listen to NOAA weather radio for further alerts. Avoid moving water and flood waters, as they may contain hazards. Inspect your home for damage, including loose power lines, cracking, collapse, and damaged gas lines. 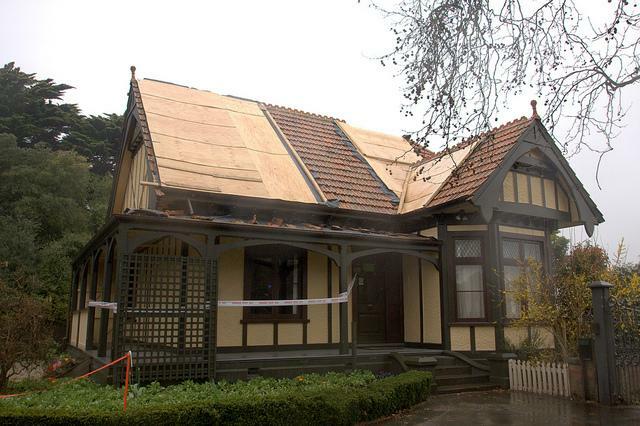 Be sure that your porch roof or overhangs still have their supports. Watch carefully for downed power lines, and be sure not to step in standing water. Discard any food that came in contact with flood water. Do not use tap water until local officials have deemed it safe to use. You may need to boil or treat your water before use. Clean and disinfect all wet areas, as flood water can leave behind sewage and chemicals. Remember to wear protective clothing during cleanup. Be on the alert for animals, especially snakes, that may have entered your home with flood waters. If your home is flooded, turn off your electricity at the main breaker box. Use your phone only for emergencies. You can check in with family on the American Red Cross Safe and Well website. Woodland areas are an increasingly attractive setting for homes. But as more people build homes in and around forests, rural areas, and remote mountain locations, more homes are susceptible to the dangers of wildfires. Drought, dry conditions, lightning, or accidents can spark a wildfire that spreads quickly and claims all combustibles — even homes — in its path. If you’ve made your home in a woodland area, it’s essential that you prepare your home for the possibility of a wildfire. 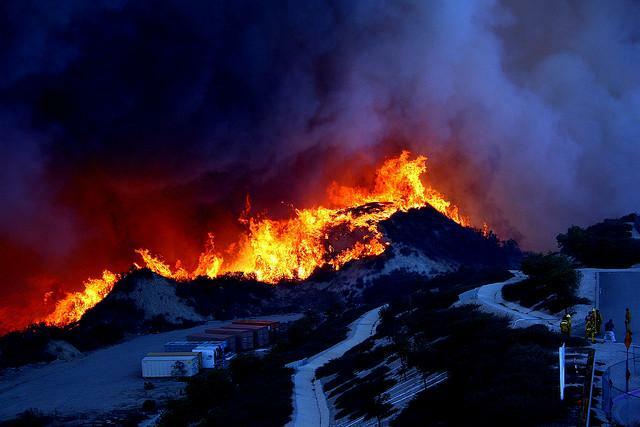 Wildfires may begin unnoticed and spread quickly, giving you little time to prepare when wildfires threaten your area. Do what you can to save your home and protect your family by preparing now before you’re affected by wildfire. 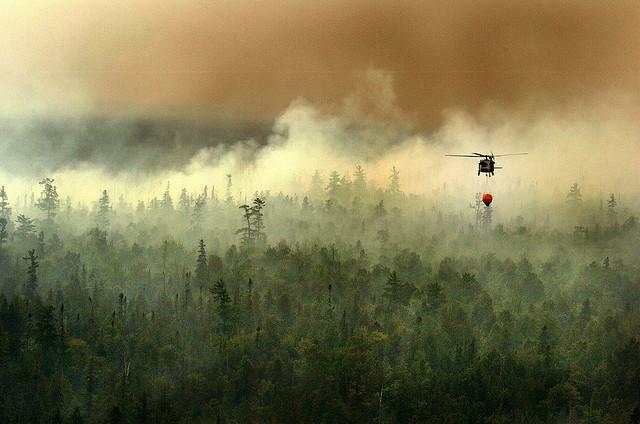 An estimated 4.5 million U.S. homes are at a high or extreme risk of wildfires. Leading the U.S. is California, with 2 million properties with the most risk of wildfire, followed by Texas and Colorado. Is your home in a high risk area? Find out now before fire threatens your home. Take a wildfire risk assessment. 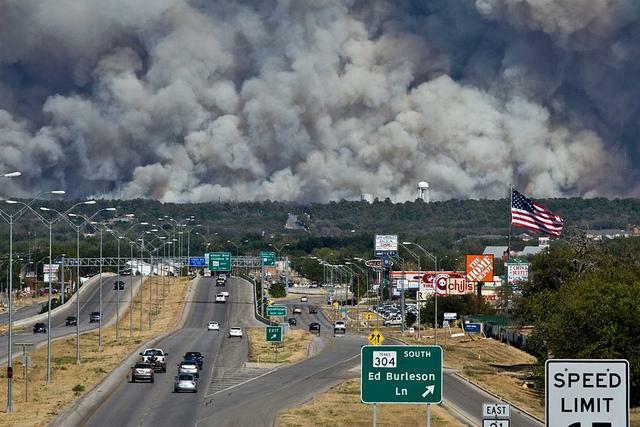 Several states, including Texas and Colorado offer assessments for wildfire risk. Your family should know how to respond quickly if there’s a fire. Put together a fire escape plan with your family so that everyone is aware how to be safe during a wildfire. Identify two different routes out of your neighborhood. Remember that your primary route may be blocked by fire. Choose a place outside of your neighborhood where your family can meet if you’re separated. Select an out of area contact you can call to check in with. Practice your escape routes and show family members your emergency meeting place. Teach every member of your family how to use a fire extinguisher. There are many ways to make your home fire resistant. Landscaping, maintenance, and hardening your home are all effective resources in fighting the spread of fire and protecting your home. Find out how you can defend your home against wildfires. Create a defensible space. A defensible space creates buffer zones between your home and the grass, trees, and shrubs surrounding it. With this space, you can stop or slow the spread of wildfire. This space also helps to protect firefighters defending your home. Landscape with consideration to fire safety. You should plant less flammable hardwoods, regularly clean your roof and gutters, and mow your grass down to a maximum height of 4 inches. Remove dead plants and vegetation, and trim trees regularly to keep branches 10 feet from other trees and your home. Create separation between anything that can catch fire. Shrubs, trees, wood piles, and patio furniture should have adequate spacing. Harden your home. This will help defend your home from flying embers. Roofing materials, eaves, soffits, windows, walls, decks, and gutters can all be made fire resistant. Be sure to cover your chimney, vents, and any openings under porches, decks, and the foundation with non-combustible screens as well. Install smoke alarms on every level of your home, ideally near bedrooms. Test monthly and change the batteries annually. Be ready for a fire with a ladder that will reach the roof and fire tools including a rake, axe, saw, bucket, and shovel. Prepare for water needs with a garden hose that can reach any area of your home. Reports of wildfire in your area mean it’s time to take action. You may need to evacuate quickly, and you should be ready to leave at a moment’s notice. If you have time before being advised to evacuate, you can take extra steps to protect your home and help firefighters defend your property against fire. Listen to local radio for emergency information and evacuation notices. If you’re instructed to evacuate, leave immediately. Call 911 if you see a wildfire, but haven’t received evacuation orders yet. Arrange temporary housing outside of the area in case you need to evacuate. Shut all windows and doors inside and outside, remove flammable window coverings, and move flammable furniture to the center of the room. Shut off your gas and turn off pilot lights, and shut off your air conditioning. Leave your lights on so that it will be more visible to firefighters. Remove flammable items from your yard, including patio furniture, door mats, and trash cans. Turn off propane tanks and move them away from your home. Turn off sprinklers and any running water so that firefighters will have maximum water pressure. Connect your garden hoses for firefighter use, and fill water buckets if possible. Place a ladder at the corner of your house for easy access to your roof. Seal your attic and ground vents, and close all attic and basement vents. Load your vehicle with your safety kit and valuable items or documents and back your car into your driveway. Gather pets in a single room so they’ll be ready to transport if you have to leave. 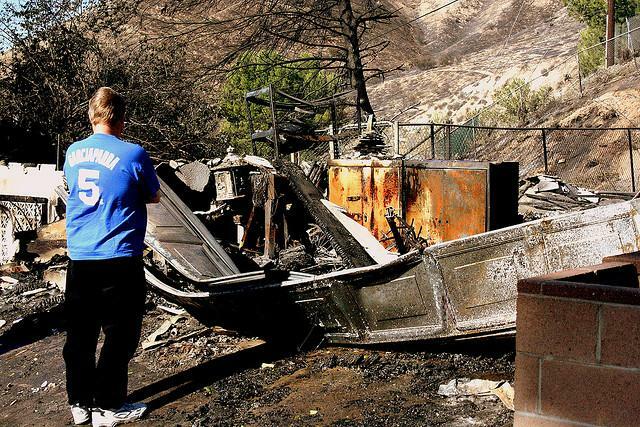 Recovering from a wildfire can be difficult, especially if you were forced to leave your home. It’s important to take great care when entering burned areas, as they can have hazards including hot spots, fallen power lines, and ash pits. Dust particles and damaged chemical containers may also pose a serious threat to your health. Listen to local news or radio for further alerts and advisement. Remain on a fire watch, looking for smoke and sparks in your home, especially in the attic. If you evacuated, do not return to your home until officials have said that it’s safe. Wear protective clothing, including long sleeved shirts and pants, closed toe shoes, gloves, and dust masks. Inspect your roof for sparks or embers that may start a fire. Be careful when entering burned areas and be on the alert for hot spots that may flare up. Watch for ash pits or fallen power lines. Do not enter your home if you detect heat or smoke. Take care when opening a safe or strong box, as they can hold intense heat and may burst into flames when opened. Wet debris to minimize dust particles. Dispose of cleaning products, paint, batteries, fuel containers, and food that have been exposed to heat, smoke, or soot. Check trees for weakening and identify any vegetation that should be removed for safety. Let family know that you’re OK with the American Red Cross Safe and Well website.